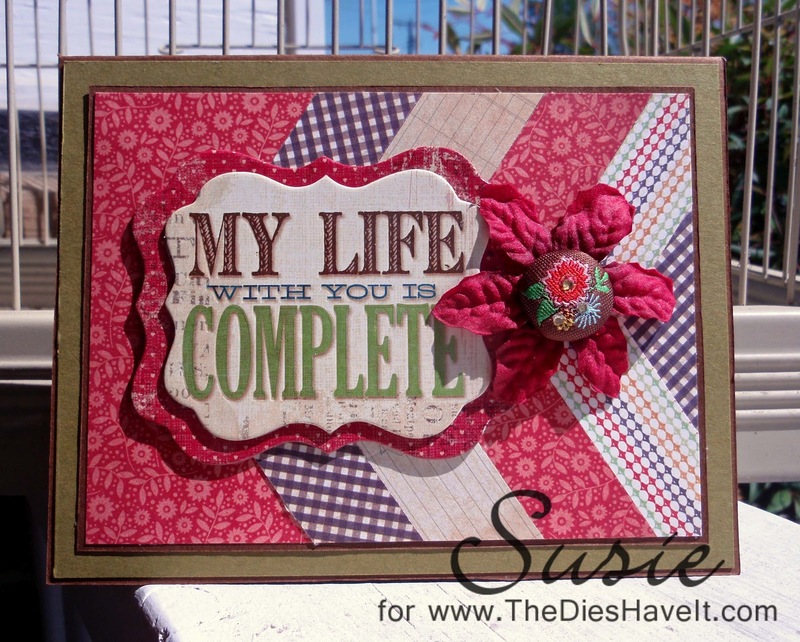 I love it when I have seen something that inspires me and then I am able to make a card from that inspiration. I have been seeing chevrons everywhere and have been thinking about how to use them. So I just started snipping and piecing and here is how it all ended up. This is the last of my My Mind's Eye Lost and Found Rosy collection. I have a few sheets left...but they are going to my friend with whom I like to share. 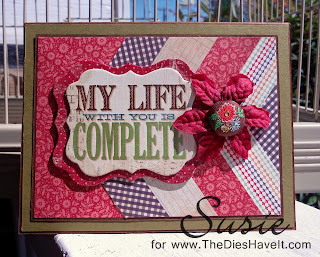 The sentiment is an older K&C dimensional sticker and the flower and brad are from my stash. I think I'll call this Easy-Peasy Friday.